It might seem peculiar, considering it was the major football news story of the summer, but Raheem Sterling's transfer from Liverpool to Manchester City has almost gone under the radar. If £49 million was considered a huge outlay for Sterling early in the summer -- the most expensive English player ever, and then the eighth-highest transfer fee of all time -- it was normalised by Kevin De Bruyne joining City for an even higher fee, and then virtual unknown Anthony Martial signing for Manchester United for a fee which could, with add-ons, also overtake the Sterling sum. 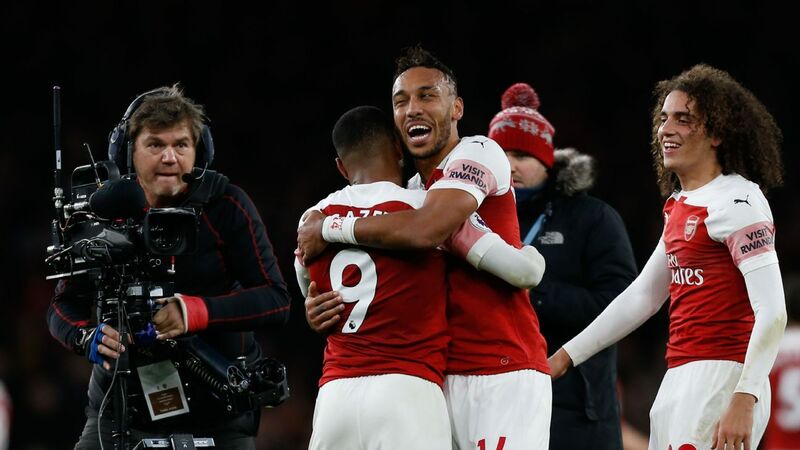 Then there have been the other stories from an eventful campaign so far -- Chelsea's complete collapse, Jurgen Klopp's arrival, Arsenal's Champions League struggles. Nobody has been talking about Sterling, no one questioning whether he's settled in. This weekend, everyone is talking about him again. The consensus about Sterling, at least at the time of his move, was that he was a hugely talented footballer yet to develop a reliable end product. That was harsh, not least because it's extremely rare for such a young footballer to be consistent with his final ball. So much has happened in Sterling's short career -- a key part of a title challenge, a starter at the World Cup, a massive transfer -- that it's easy to forget he's still only 20. No one -- not Leo Messi, not Cristiano Ronaldo, not Neymar -- finds their peak efficiency at 20. Besides, Sterling's numbers in terms of 'end product' have actually been impressive -- in the league, he managed a combined 14 goals and assists in 2013-14, and exactly the same figure in 2014-15. Of the 30 players who scored more goals (7) or the 15 players who registered more assists (7) than Sterling last season, no one was his age or younger. The key to assessing whether Sterling will become better, of course, isn't simply about assessing the numbers, but about looking for signs of improvement. And this has unquestionably happened -- when Sterling first broke through into the Liverpool side, he literally couldn't shoot. He used to dribble his way past opponents, leave full-backs for dead, and then scuff his shots horribly. He simply couldn't generate enough power, and his goals generally came from very close range -- two efforts in Liverpool's 5-1 demolition of Arsenal in February 2014 spring to mind. The next season, things looked better already, to the extent that Brendan Rodgers sometimes deployed him as Liverpool's de facto centre-forward. There were moments when he seemed unconvincing, like when he was repeatedly thwarted by David De Gea in a 3-0 defeat in December 2014, but he got better and better. 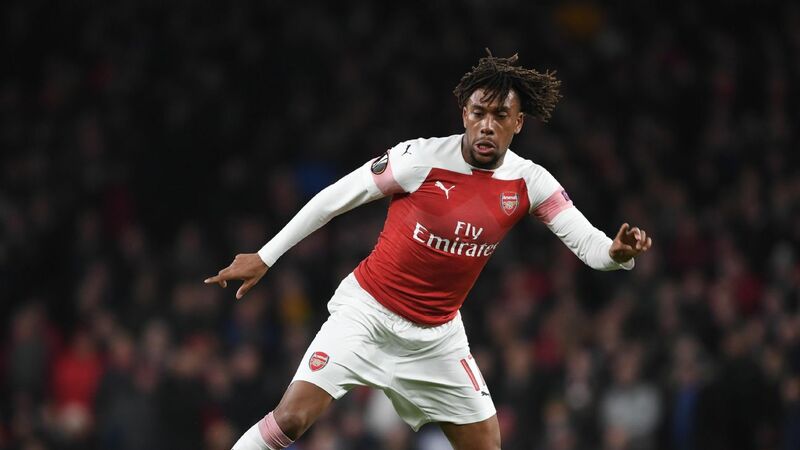 A goal away at Chelsea in a Capital One Cup semifinal last season showed his improvement -- he held off midfield challenges, roared past the defenders and shot past the goalkeeper. He'd become an all-round attacker, and while his goals and assists total stayed the same as the previous campaign, he was matching that figure in a significantly worse team. Sterling's protracted summer transfer left a bitter taste for many, perhaps primarily those who find it difficult to accept Manchester City, with their new money, are now a more attractive club than Liverpool, with their history. But there was a relentless, almost uncomfortable media campaign to sully Sterling's name, to paint him as a greedy kid out to get extra cash. His agent, in fairness, certainly didn't help the situation. But realistically, while a pay rise was certainly tempting, Sterling has moved to a better team, and has helped his new club to a position on top of the table. City's 5-1 victory over Bournemouth on Saturday afternoon was Sterling's best performance in a City shirt yet. So far this season he's almost seemed like a handy bonus rather than a key player, with David Silva pulling the strings between the lines, Sergio Aguero providing the goals upfront and De Bruyne making an instant impact. But with Silva and Aguero both out at the weekend because of injuries sustained on international duty, Sterling took centre-stage -- more literally than you might expect. De Bruyne seemed the obvious candidate to play as City's No. 10 in Silva's absence. Instead, De Bruyne was on the left with Sterling central, just behind Wilfried Bony but playing close enough to be considered a second striker. By the end of the first half, he'd grabbed a hat trick -- his first, as many as the likes of Cristiano Ronaldo, Dennis Bergkamp, Eric Cantona and Gianfranco Zola managed in their entire Premier League careers. Two goals were simple poachers' efforts -- the first after he'd got himself into a good far-post position for a right-wing cross, the third even easier after Jesus Navas had launched a counter-attack through the middle. But the second goal was remarkable -- Sterling started a run from a deep, central position, sprinted onto a pass from De Bruyne, moved inside onto his right foot, and then produced two dummies to first put Steve Cook on the ground, then do the same to Sylvain Distin. As he despatched the ball into the net, both left-back Charlie Daniels and goalkeeper Adam Federici were prostrate too. Sterling left four players on the ground with his trickery in the space of three seconds, the type of behaviour you expect from the world's most deadly strikers. One of Sterling's most surprising qualities is his tactical intelligence. Young, quick dribblers are often wayward, frustrating talents who abandon their positional responsibilities in pursuit of glory, but Sterling has played almost everywhere over the last two seasons, and always been up to the task. He's played on the right, the left, as a centre-forward and as a No. 10. He has been played at wing-back when Liverpool played a three-man defence. Every time, he has understood where to be, how to move, who to mark. Raheem Sterling's hat trick vs. Bournemouth takes his goals tally to five for the season. As a centre-forward on Saturday, he moved across to the flanks, working the channels, and came short to link play. He ran in behind too, as you would expect, but with a good awareness of Bournemouth's offside trap, often doing the Robert Lewandowski trick of starting his runs from five yards in front of the defence, so he's up at full speed by the time he roars past the opposition centre-backs. When De Bruyne and Navas attacked down the flanks, Sterling glanced up to see centre-forward Wilfried Bony's intention before taking up a different position, often coming short for the pull-back. His three goals came from six shots, and he also created three chances for teammates. This was, of course, only Bournemouth. But it was telling that City didn't miss Silva, the Premier League's best playmaker, or Aguero, the Premier League's best centre-forward. "We had to do something different without Sergio and David," Manuel Pellegrini said afterward. "I am happy because we changed his position and played him in the middle, with Bony in front of him. "We felt it was better for him to be near Bony and also near the box. With his movement we thought Raheem could be dangerous and fortunately he was, he scored three goals. He also missed three or four goals, but he did very well. "When we bought Raheem in the summer I said we are buying a 20-year-old who is very young and needs to improve. He is not a striker, but he can improve his finishing and, today, he did." Many have missed the point about Sterling's transfer, about his end product -- but Pellegrini understands the situation perfectly. He's already recording statistics beyond his years, and will only continue to improve. In a couple of years' time, this central role might even be his optimum position.